This guide aims to give a clear structure to help you grow internal confidence and buy-in so that the benefits of social media can become visible and it becomes more accountable, serving the long-term strategic aims of charities. 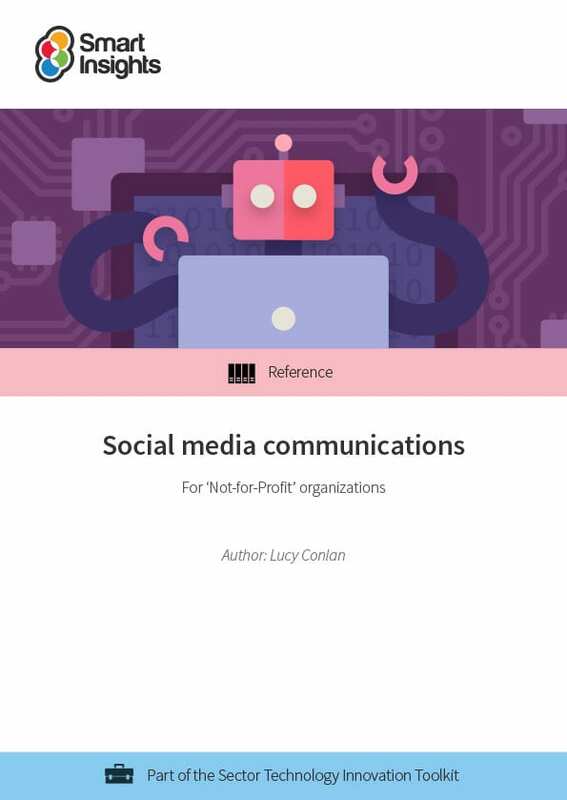 Our guide to social media communications has been developed to help marketers who are either setting strategy for social media activities or are involved “hands-on” in using social media in Not-for-Profit organisations. While the main focus is on the charity sector, the guide will be useful for other ‘not-for-profit’ organisations including the arts, cultural, educational and government organisations.